FLOWER is a non-profit organization based in the town of Asamankese in Ghana, West Africa. FLOWER collaborates with a variety of individuals, organizations and institutions on key programs related to the well-being of women, girls and their families. FLOWER is registered with the Department of Social Welfare in Ghana under certificate number G-24372. 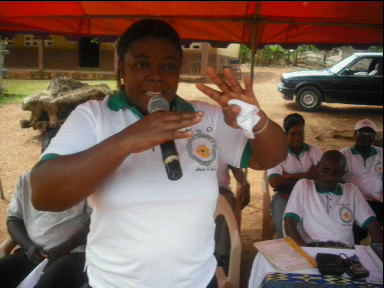 We are also active members of the Ghana Coalition of NGOs in Health. All of our activities, no matter how diverse, are rooted in the belief that given the opportunity all young women can become what they dream to be. Ultimately we believe in the power of women supporting women to achieve their dreams. As a result, we aim to consult and include our stakeholders in organizational decision-making as much as possible. FLOWER is also a learning organization, meaning that we strive to learn from each other as part of our journey. Volunteers, staff and participants are given the same level of attention regardless of educational background, age, race or class. 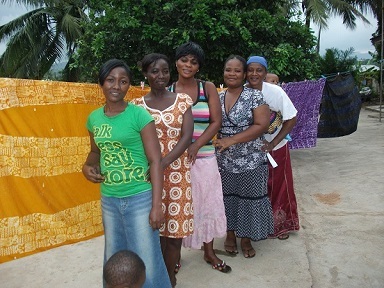 FLOWER is a women led, non-profit organization based in Ghana, West Africa. FLOWER works alongside community partners to run practical, low-cost activities that help young women realize their full potential and feel empowered to make decisions about their future.